Dawson WAM is a large, specialist civil engineering and piling company based in Dublin that operates and has offices throughout the UK and Ireland. They take on a wide variety of construction engineering projects, ranging from tens of thousands to many millions of pounds. 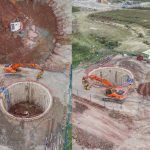 Our work with Dawson WAM has mostly involved using our drones to document their work for use in their own media outlets and to show potential clients what kind of work they do. 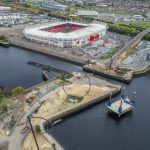 Examples of projects we have been involved with include flying the drone above and inside, below ground, a large cylindrical excavation at a new build housing estate near Pocklington in North Yorkshire, and capturing aerial video clips and photography of pile installations at Middlesbrough docks. 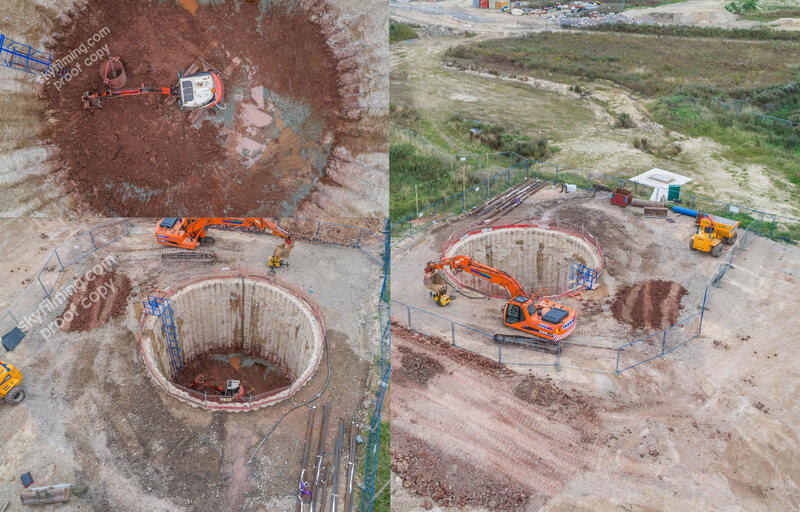 The excavation was interesting in that it involved flying the drone downwards, below ground level, to photograph and inspect the sides of the excavation, which is to be used by Yorkshire Water as part of the housing estate’s water system. The dockside work was for a much larger project, installing piling on either side of a waterway and actually in the water using a floating platform. 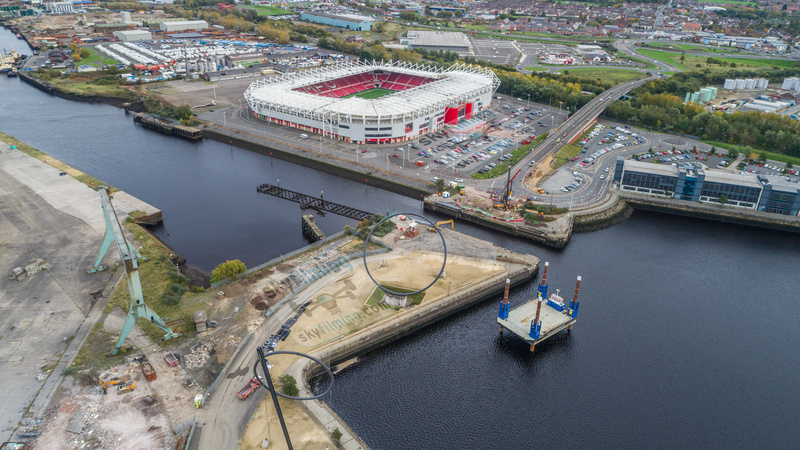 When the piling work is complete a new road bridge will be built across the waterway to gain access to a new development area for the city of Middlesbrough.